In the 1970's, when I was heading Putnam Investments' Market Analysis Department, the market started a correction. Happily, I had anticipated it. Some of the permabull-money managers, who were generally skeptical of technical analysis in the first place, were annoyed that the market was going down as I had predicted. They started coming into my office almost immediately: "Is it time to buy yet?" This went on day after day as the market kept going down, and I got tired of saying "No, not yet" over and over again. Finally, I shrugged my shoulders and said "When the time comes to buy, you won't want to". I worked with institutional money managers for over 50 years. I soon learned if I could make a point quickly and clearly it was a lot more likely to get into their decision-making process. That's why I've coined phrases like "When the time comes to buy, you won't want to" throughout my career; powerful messages conveyed in just a few words. I've also carefully curated them from the very talented people I've been fortunate to have been able to work with. This book is a compilation of the most perceptive and insightful phrases of all. "A great read from one of the masters of technical analysis!" 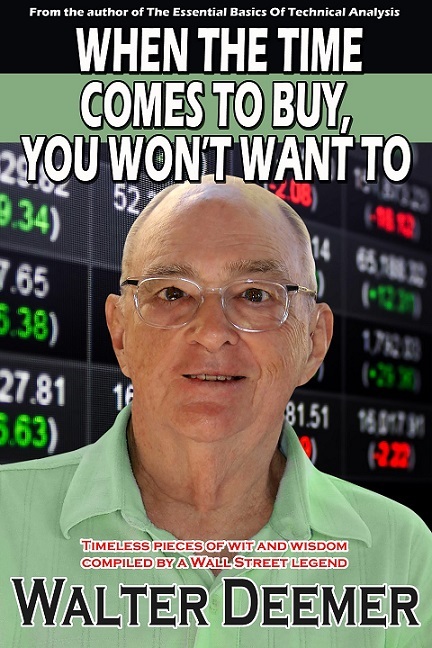 "A great many nuggets of wisdom from legendary technical analyst Walter Deemer!" The print version of When The Time Comes To Buy, You Won't Want To is available here and the Kindle version is available here. The Essential Basics Of Technical Analysis is just that: It describes the essential basics of technical analysis -- the most basic part of the investment process -- that every investor absolutely needs to know in a concise, well-illustrated and easy-to-understand conversational format. 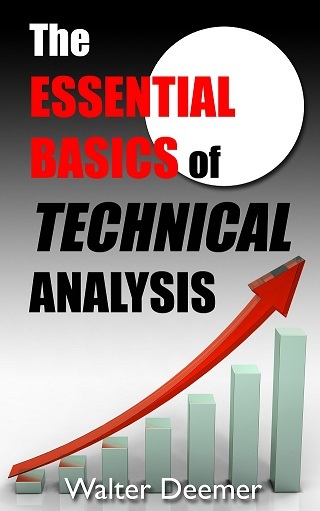 It's the best explanation of the essential basics of technical analysis that every investor needs to know available -- and a must read for everyone involved in the stock market. You can find out more here. 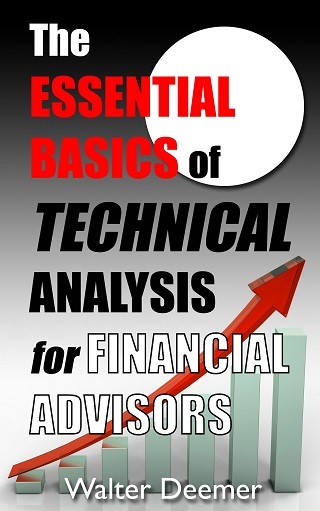 The Essential Basics Of Technical Analysis For Financial Advisors is a version of the previous book written with the specific needs of Financial Advisors in mind. You can learn more about it here. 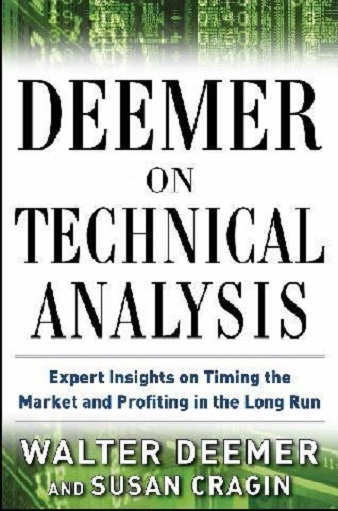 Finally, Deemer on Technical Analysis shares sage advice and personal anecdotes from my long and illustrious career. This indispensible book is more than half-a-century in the making and is filled with all the thoughtfulness and genius of "a true captain of his discipline". Learn more here. "A true captain of his discipline"? Yes indeed! 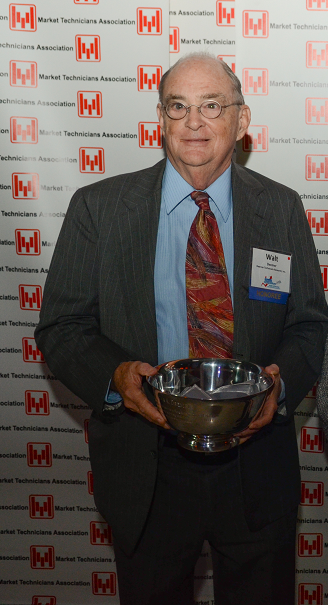 In 2015 I was honored to receive the Market Technicians Associations' Annual Award for lifetime achievement. I really have been everywhere and done everything -- and the books will prove it to you! Same genre as Franck Pourcel's ""Only You" -- only better!